January 27, 2017 - Like us now! Car Chabi, a local startup which provides a digital key to cars using smartphones, has raised an investment of $150,000 from Treet Corporation. As a result of this investment, Car Chabi will now operate and be held under a parent company, named ‘RoboArt Pvt. Ltd’. 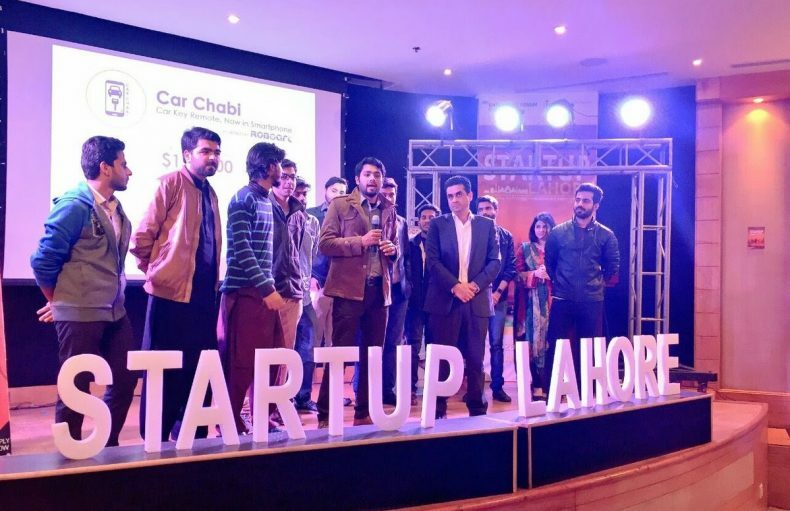 Car Chabi is an IoT startup which aims to revolutionize automobiles in Pakistan by providing a digital key of the car using smartphone technology. Car Chabi’s smart device connects to your car’s wiring harness and provides a number of controls for car users via their smartphone, for example, users can lock/unlock, turn on and off, start/stop, secure, and turn the AC and heater on/off. The team is being led by two young entrepreneurs, Muhammad Ali Rashid as CEO and Hammad Siddiqui as COO of Car Chabi. They came up with the idea of Car Chabi while working as engineering graduates in Lahore. Car Chabi started its operations in January, 2016. Within a year, they sold 1000 units of the Car Chabi device and generated a revenue of $30k, all the while acquiring customers across Pakistan. Not only this, but they were also runner-ups at the Throw-a-thon at LUMS and were selected as one of the Top 12 Startups at TIE Lahore. Car Chabi will now operate and be held under a parent company, named ‘RoboArt Pvt. Ltd’. Under RoboArt, the same team will continue to work in the field of IoT and develop a multitude of products that would cater to a larger audience in Pakistan.